Image via Saffron Blaze (Wikimedia Commons). 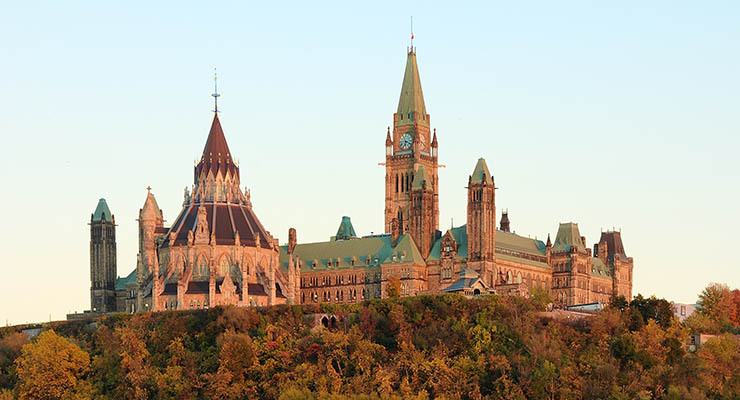 OTTAWA – Just eight months after announcing a higher minimum down payment for properties with an asking price of more than $500,000, Finance Minister Bill Morneau has unveiled three more adjustments to Canada’s housing and mortgage regulations. Closing existing “loopholes” surrounding Canada’s capital gains tax exemption on the sale of a principal residence. Standardizing the eligibility criteria for insured mortgages (both high- and low-ratio), and implementing a more rigorous mortgage rate “stress test” for applicants. Consultation on ways to ensure that the distribution of risk in the housing finance system is balanced. To get more specific details on the new adjustments, we spoke with Shubha Dasgupta, a mortgage broker with Dominion Lending Centres and our regular mortgage correspondent here at GTA Real Estate News. Regarding the capital gains tax exemption, Dasgupta explained that two key restrictions are being implemented with the goal of eliminating loopholes: According to BNN, the exemption will now only be available to Canadian residents – preventing foreign buyers from attempting to claim the benefit, even though they are a non-resident of Canada. Furthermore, under the new changes, each Canadian family will only be able to declare one home as their principal residence. The Canada Revenue Agency (CRA) will, for the first time, require all taxpayers to report the sale of a property for which the principal residence exemption is claimed. Additionally, BNN has reported that with the new changes in effect, each Canadian family will only be able to declare one home as their principal residence. In order to ensure new homeowners can afford their mortgages – even in the event that interest rates begin to rise – mortgage lenders are sometimes required to apply a “stress test” to potential borrowers. According to Dasgupta, the requirement currently only applies to 1-4 year fixed-rate and variable-rate mortgages. Effective October 17, however, the stress test will also be applied to fixed terms of five years and longer. “Essentially, what this means is all high-ratio mortgages with less than 20 per cent down will now need to qualify using the Bank of Canada overnight rate,” said Dasgupta. “High ratio” mortgages with down-payments of 20 per cent or higher are commonly ensured via “portfolio” insurance, a bulk-style method of insuring that allows banks and lenders to raise capital for mortgages. Mortgage must be for a property that will be owner-occupied. “I’ll note that in speaking with many of the major Canadian lenders today, they are somewhat unprepared with this news, and are working diligently to get further clarification and make adjustments to their portfolios,” explained Dasgupta. The new changes follow a lengthy investigation into Canada’s real estate market, carried out by the Department of Finance Canada and supported by several agencies, most notably the Office of the Superintendent of Financial Institutions and the CMHC. “Canadians have told us they are concerned about growing household debt and rapidly rising house prices in some of our biggest cities, particularly in markets like Toronto and Vancouver. These concerns have grown over many years, and there are no quick fixes,” Morneau explained in his official statement issued October 3. For more information about acquiring a mortgage, or the types of mortgages available to Canadians, we invite our readers to get in touch with Mr. Dasgupta directly via his web site at http://torontosbestmortgage.com/contact-dominion.